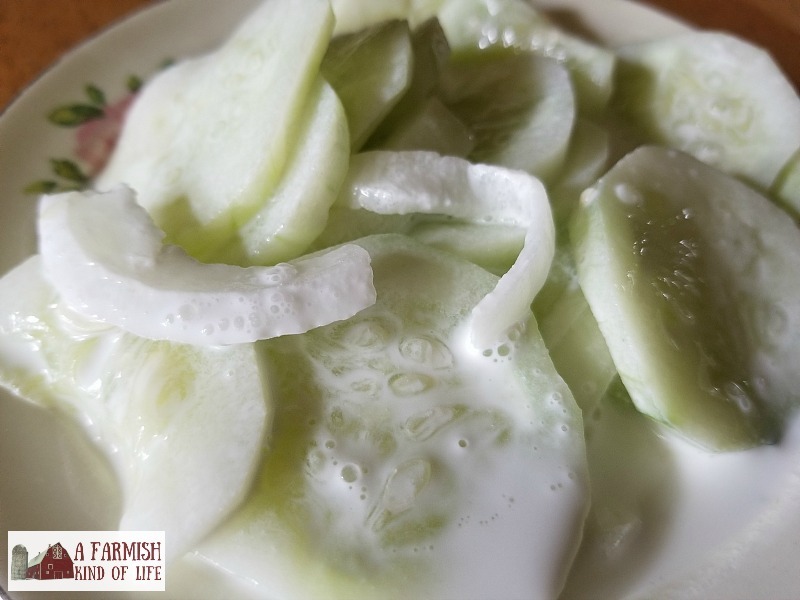 Creamy Cucumbers are one of our first and favorite things to make when our garden cucumbers are ready to pick. We make this recipe by bucketfuls at a time, and when creamy cucumbers are in the fridge, they are eaten at practically every meal. 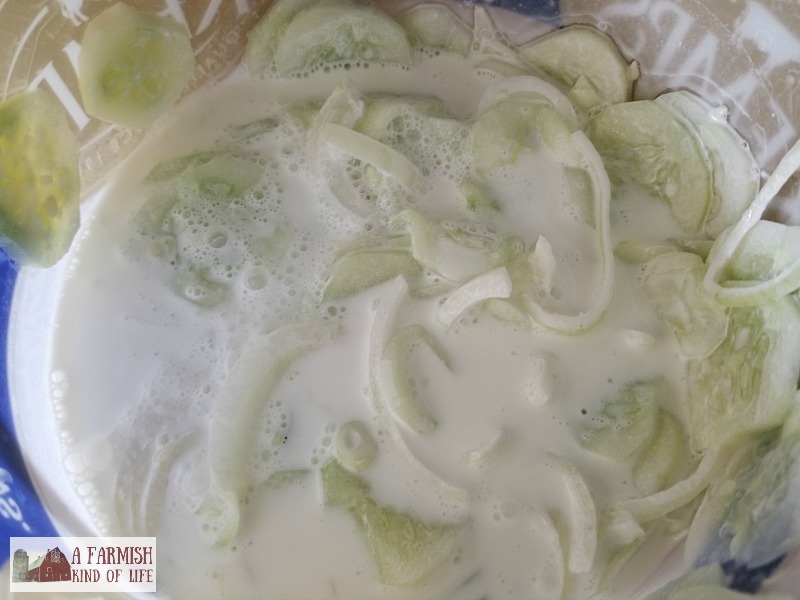 Creamy cucumbers are a great choice to bring to a summer picnic, although if my husband or I are there, no one else will get to eat any. So you know, maybe bring two bucketfuls. 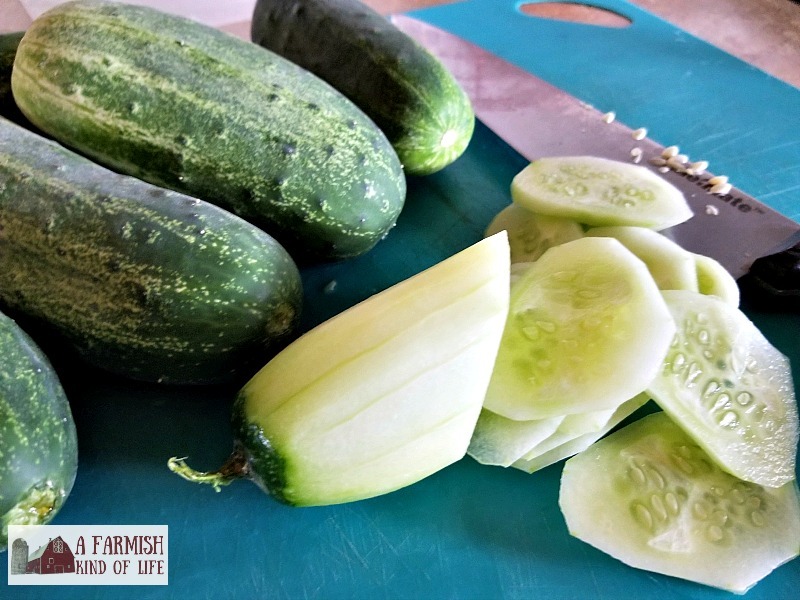 There are many different ways to make creamy cucumbers, from what you include in the sauce, to the proportions, to adding things like green peppers to the mix. Our way of making them is pretty simple, and I’ve done it so many times that I could probably make it in my sleep. Next, make the sauce. 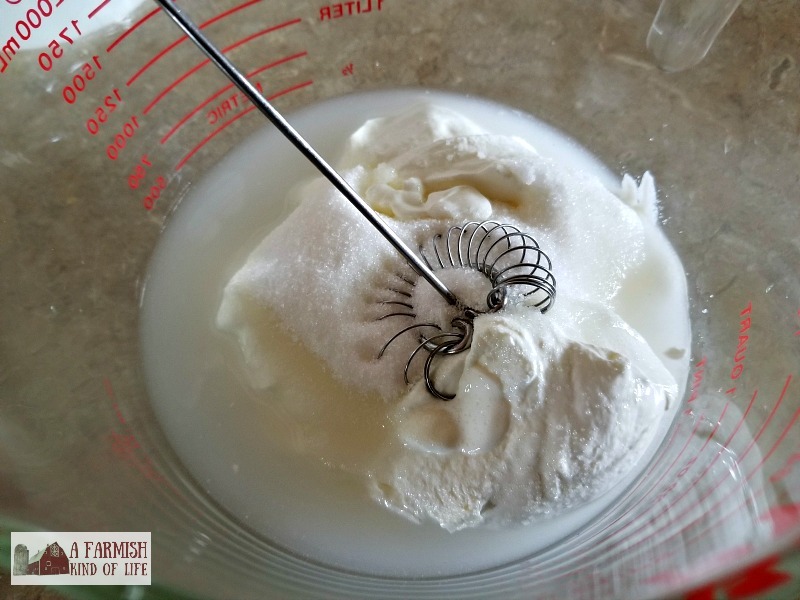 Whisk the sour cream, sugar, white vinegar, and salt together until it’s smooth(ish). 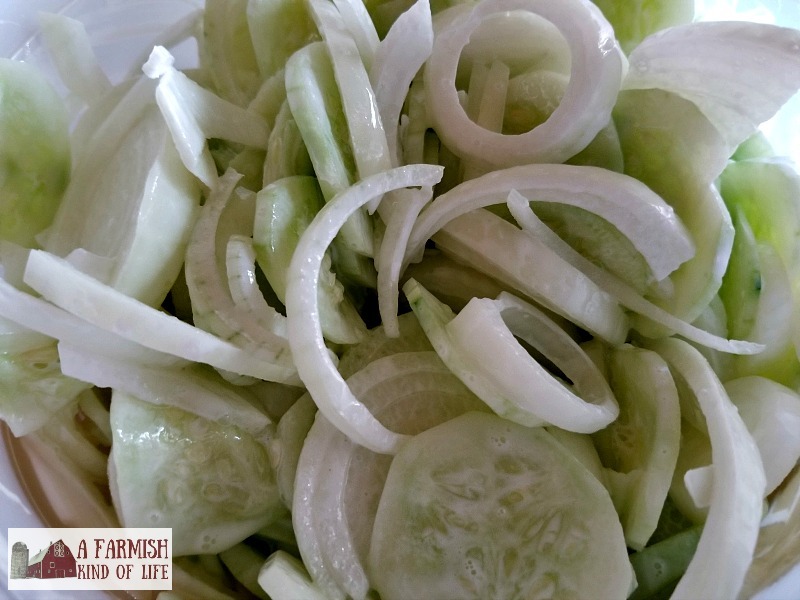 Pour the sauce over the cukes and onions in the bucket. Some people say to just pour it over and let it sit, others say to toss the cukes and onions around in the sauce a bit. We stir it up. Now, you might not think this amount of sauce is enough for all those onions and cukes. Trust me, it is. Because the next day—after we’d eaten a lot of the bucket already—this is the amount of sauce that was sitting in the bottom…. So put the sauce on the cucumbers, put the bucket in the fridge, and let the sauce do its magic thing for a couple hours. After the cukes have sat in the sauce for a couple hours, it’s all ready to serve! Creamy cucumbers are the awesomest. 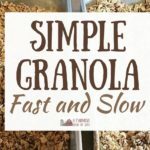 They’re great as a side dish, something to bring to a summer picnic…or perfect for eating by the bowlful when you need something tasty in your belly. 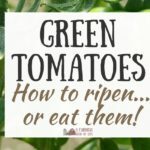 They’re so simple to make, and in my humble opinion, that makes them even tastier. Enjoy! 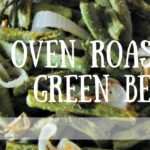 A perfect side dish for a summertime picnic...or a great treat to have any time! 1. Place all sliced cukes and onions in ice cream bucket. 2. 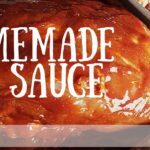 In a separate bowl, make the sauce. 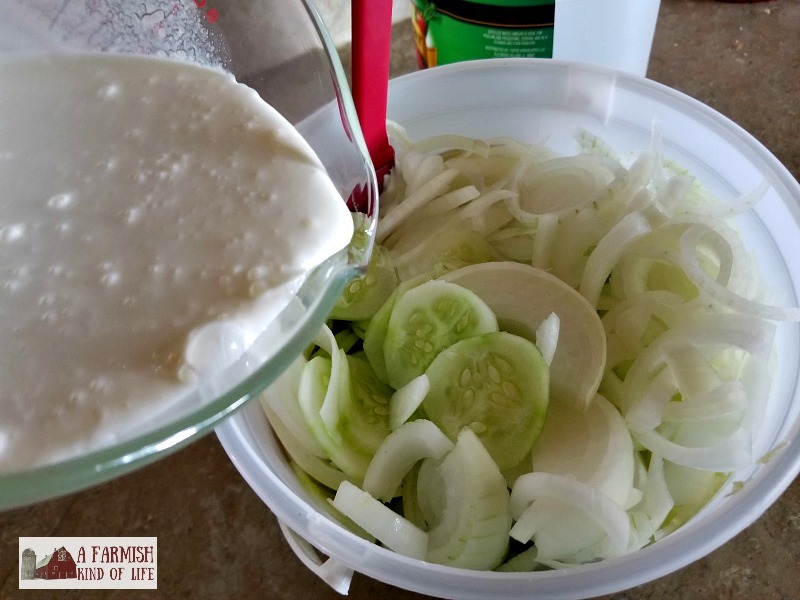 Whisk the sour cream, vinegar, sugar, and salt in a separate bowl together until smooth. 3. 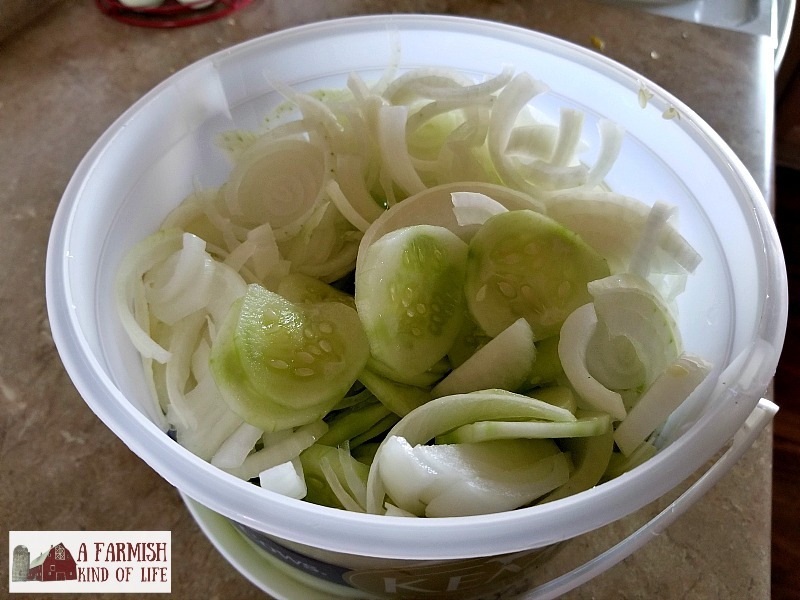 Pour sauce over cukes in bucket, stir to coat well. Let sit in fridge for a couple hours. 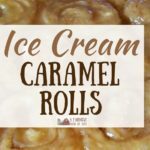 Looking for other summertime treats? Check out my recipes for Strawberry Rhubarb Slush, or Sour Cream Rhubarb Cake! Oh, this looks interesting. I will have to give it a try. Love anything with cucumbers in it. I’m sure that my husband would scarf this down in no time. Why an ice-cream maker bucket ? I don`t have one anymore. Is it because of the metal keeping it cold or the size ? I would like to know as this recipe sounds wonderful. Thanks. Hi there! Thanks for reading. When I said ice cream bucket, I just meant a plastic ice cream pail from the store. Sorry for the confusion!